antinews.in - Real or Satire? antinews.in - Real or Satire? The article from antinews.in making the rounds now is this piece of alarmist drivel: Russia Reveals U.S. Plans for Sudden Nuclear Attack, Warns of New Arms Race. But let’s take a look at this story: Japan Declares State Of Emergency as Fukushima Reactor Falls Into Ocean. This story, tagged under their Conspiracy tag, cites Russian Times and Japan’s Sankei.com, but only with regard to the well established radiation levels of the Fukushima crisis. Nowhere does either source make the claim that a portion of the reactor has fallen into the ocean. With all the talk about radiation levels in the story itself, the reader’s natural inclination is to accept the hyperbole contained within the headline. 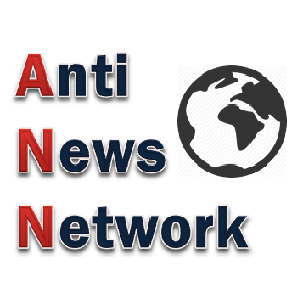 It is clear that antinews.in relies on ClickBait bordering on fake news to get traffic, with no regard to substantiating the claims of their headlines. More tellingly, however, is the fact that this story’s main source comes from the disreputable Your News Wire, already judged and found wanting last year. Looking back at the Russia story mentioned earlier, and you see a familiar tactic — an over-abundance of cited sources (some more reputable than others) that seeks to throw the reader into enough of an info-dump overload as to beat them into submission. In this case, the submission sought is accepting the headline’s claim as true at face value.